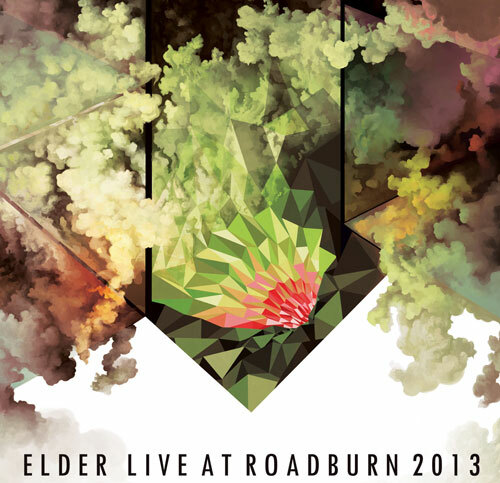 Roadburn Records is proud to present ELDER ‘Live At Roadburn 2013‘ after the bands blistering performance at this years festival back in April and the recording captures the entire set in all it’s psychedelic glory. You can stream it via the player below and it’s also available now as a Name Your Price download from the labels Bandcamp page HERE. The recording will also get the CD and Vinyl treatment with various bundles available for pre-order from the Burning World Records webstore HERE, please note, all pre-orders won’t be shipped until 1st February 2014. The set was recorded on the April 20th, 2013 at the Roadburn Festival in Tilburg, Holland. Mixing and mastering by Marcel van de Vondervoort.